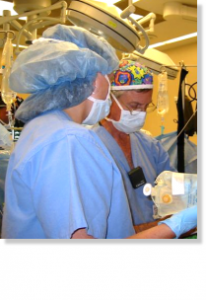 CRNA’s are the backbone of the anesthesia community. As part of your daily practice you need to implement certain risk management tools to reduce your liability or better prevent a medical malpractice claim. Put yourself in the patients shoes, clearly communicate before each procedure, stay off of your tablet or cell phone while in front of a patient, voice your options and concerns, do not feel as if you cannot ask for help, and be sure to follow up after each procedure. Write clearly and legibly in your follow up reports and be sure to note every practitioner that was involved. Trust your gut instincts and stay up to date with the latest anesthesia educational tools. These are just some simple steps that you can take to better prevent a CRNA Malpractice Claim. Our CRNA Malpractice Insurance policies will protect your best interests and our agency is always available to answer CRNA Liability Insurance questions. CRNA Malpractice Insurance is here to protect you. Contact Clifton Insurance Agency, Inc via the link below and or call 877-212-4368 today for the best A+++ Rated CRNA Liability Insurance in the U.S.